The 208,000 sq.ft. 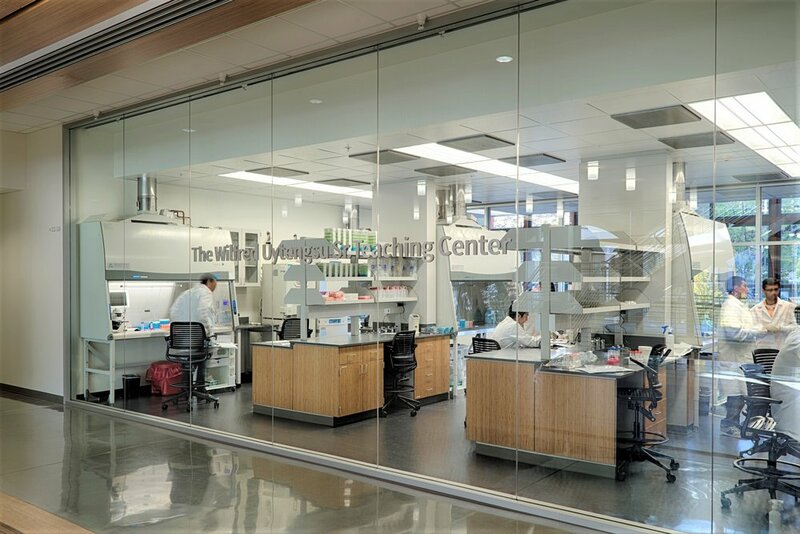 and cross-disciplinary research and engineering teaching building allows bioengineers and chemical engineers to work collaboratively and jointly leverage technology to advance translational discoveries. 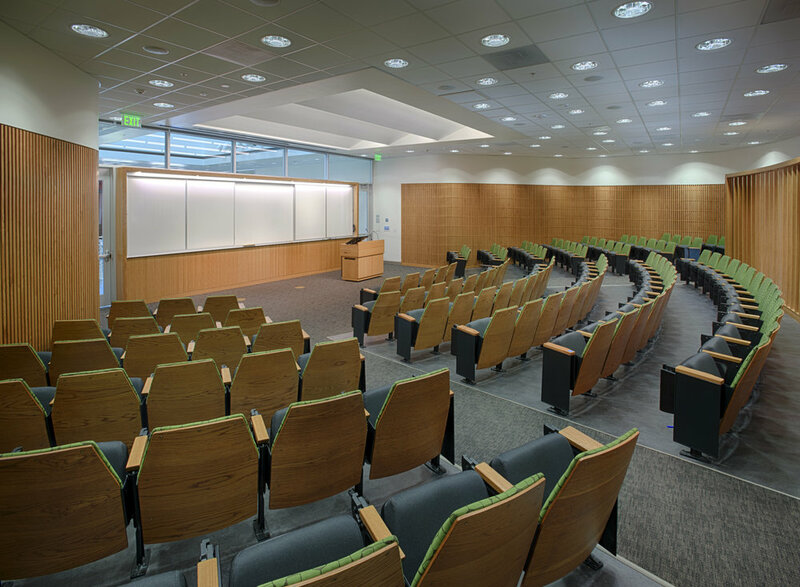 The programs include 34 custom-tailored research labs; an undergraduate teaching floor with five teaching labs (biology, chemistry, tissue culture, optics and senior design); a small animal vivarium for rodents, fish and birds; office spaces for 450 graduate students and 34 faculty; departmental administration centers; a lecture hall; staffed cost center labs; and a host of other amenities designed to facilitate social and academic interactions. 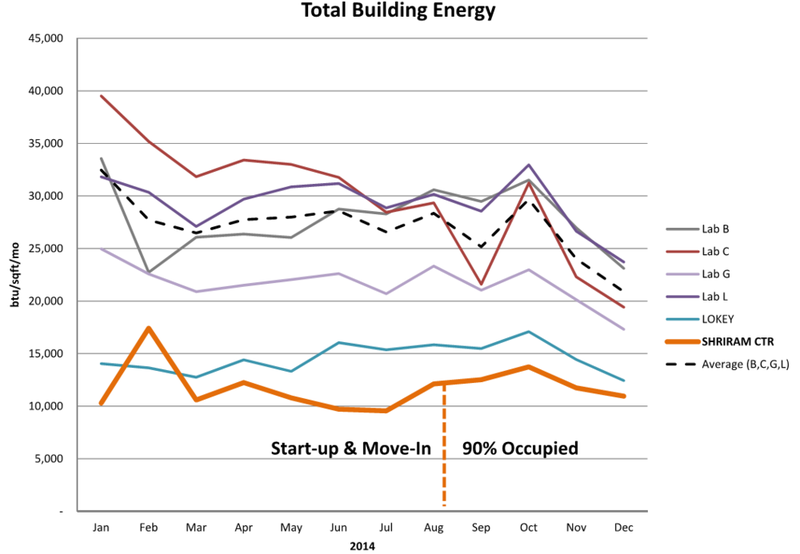 The building performs 34% better than Title 24 energy baseline. A post measurement and verification process indicates that the building was the most energy efficiency research facility on Campus. The mechanical system consists of an innovative concept of distributed cooling and heating with heat recovery. Other sustainability measures include reclaimed water system for toilet flushing, a PV system for power generation, full LED lighting fixtures, and optimized controls maximizing energy efficiency. Other special program includes a ±0.5°C temperature controlled space for a special electro-microscope and a high hazard perchloride acid exhaust system with automatic wash-down system. The project is delivered by a Design-Assist methodology with Gayner Engineers being the MEP Engineer-of-Record. Document production was conducted by Revit in a full BIM environment.